Happy Thanksgiving to my readers! I wish you and your family an enjoyable and restful day. 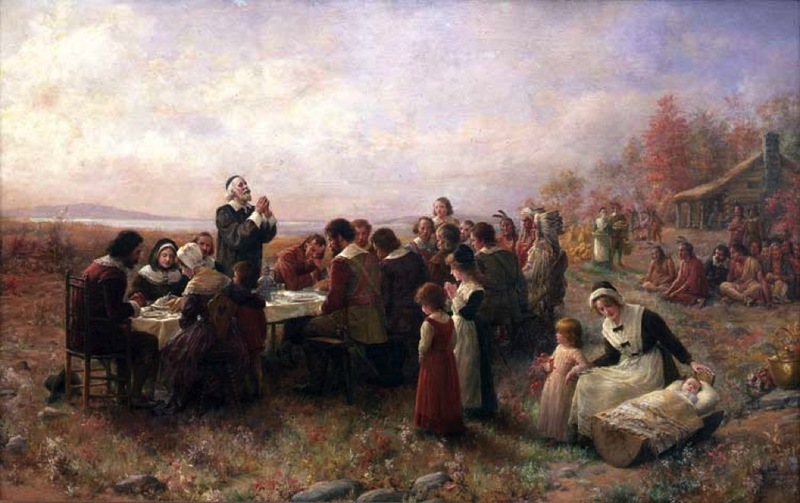 And here's a bit of interesting trivia for you, whether they realize it or not, about one in ten Americans are descendants of Pilgrims who came to the New World on the Mayflower. Best to you and yours Nate! Happy Thanksgiving to everyone. Had an non-traditional feast of chicken soup, which was pretty tasty. Today's the day for roast turkey due to conflicting family schedules. I'm so delighted to read this post.You always bring something new and innovative with your posts.Hope to see more from you.thank you very much for sharing.keep posting. Thank you very much for sharing interesting articles here.